There are few things as daunting as a hurricane. This monster of a storm can shatter your windows, flood your home, and blow the roof off of your home all in one go. When you find out a hurricane is coming your way, this is not the kind of news you want to take lightly. Planning ahead for the storm can help to not only protect your property and items, it may also save your life. When You First Find Out About the HurricaneWhen you first find out that a hurricane will be hitting your area, start acting now. Listen to Authorities: Always listen to what your authorities are telling you. If authorities think it’s best to evacuate, evacuate. If your home isn’t a safe place to wait out the hurricane, look for a public shelter in your area. Re-Stock Your Emergency Kit: You never know when you’ll be able to get help after a storm. Stock up on water, first aid supplies, a radio, non-perishable food, phone chargers and batteries. Load Your Storage Unit: If your home is going to be hit by the hurricane, it might not be the best place to keep your items. Lighthouse Self Storage has heavy-duty concrete storage units in in West Palm Beach, FL, Fort Lauderdale, FL and Homestead, FL. This is not only a smart solution for storing furniture, electronics and other important indoor items, it can also be used to store outdoor items. A storage unit can also be used to keep your boat, RV, patio furniture and outdoor decorations out of the hurricane elements. Communicate with Family: By this time, you should already know where you plan on waiting out the hurricane. Make sure your family is aware of where you are going to stay during the storm. Additionally, decide how you plan to communicate. Phone lines will often be overloaded during natural disasters, so a text message or email might be best. Cover all Windows: If your home doesn’t have permanent storm shutters, board up the windows with plywood. • Handle Last Minute Details: When the day of the hurricane comes around, you should only have small details left to iron out. Continue listening to the news and radio to look for any last-minute news or changes. 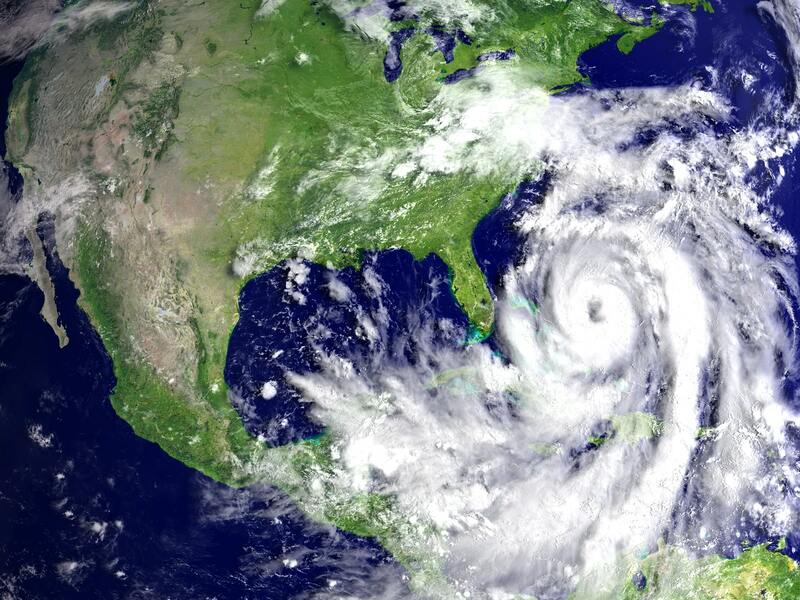 • Adjust the Freezer and Refrigerator: More likely than not, you will lose power during the hurricane. Turn both the freezer and refrigerator onto the coldest setting possible and only open them when necessary. As an extra precaution, place a thermometer inside of the refrigerator so you’ll know if the food was kept at a cool enough temperature. • Charge all Phones and Batteries: Make sure your cellphone and extra batteries are fully charged. • Hunker Down: Get into position for the storm to hit. The safest place to be during a hurricane is in a small, interior, windowless room away from windows. During a hurricane, it is important to take your safety very seriously. We strive to offer our customers a convenient storage option for their belongings, so they have one less thing to worry about during the storm. Consider renting a storage unit to store your items during a storm.